At the beginning of the year I was away for a trip and didn’t have anything to read, luckily I did have internet to check out Storytel. The audiobook app is horrible to use, but I found that Everless had just been released, so I immediately downloaded it and listened to it. It was everything I hoped for and more. 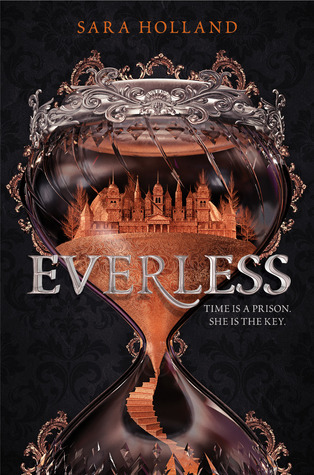 I give Everless by Sara Holland five out of five hearts because I tried to not have high anticipation for it, but it was so much more than I had hoped. The idea of the currency being the years that your life has is interesting. And I really liked the plot twist. My biggest question with the currency was how people could get rich if you are only born with a certain amount of blood in your system, but Sara had a good way of fixing that by having the blood being able to changed into coins and also being able to put it back into a body. What prevents people from stealing the coins from the rich? I have no idea. This was one of the point that I didn’t like. Jules wasn’t too different from the other girls on the estate, she wasn’t very memorable even though she already has a history on Everless. But why Sara Holland chose her to be the main character, I don’t know. Overall the story kept me interested the entire way through, but the middle is a bit dry until you get to the plot twist. It wasn’t bothersome, but it was noticeable. But to be honest, it is a novel with less than 400 pages and if you like it you can fly through it in less than a day. Which was what I did. I really liked the novel even though it had these three ‘bad’ things. I will be longing to learn more until the release of Evermore next year. This entry was posted in Book Review and tagged Adventure, Book Review, Fantasy, Sara Holland. Bookmark the permalink.